There will be a hearing at the Lumberton City Hall in Lumberton Texas on 2/11/2013 at 6:30PM. The hearing will be to hear public comments about whether or not the city council should vote to allow Walmart to sell alcohol in Lumberton even though the Lumberton Walmart is within 300 feet, property line to property line, of the Lumberton High School. Welcome to Local East Texas Politics at its best. City Council Members Don Burnett and Andy Kelly promised Lumberton Residents that if alcohol sales passed there would not be any alcohol sales near our schools. Well, alcohol sales passed and who would have guessed, these City Council members who touted no alcohol sales near schools turn around and are set to vote to allow Walmart the ability to sell alcohol directly across from the Lumberton High School. I have always been in favor of local control and people in communities getting to vote on important local issues like whether or not to allow alcohol sales within their community. When alcohol sales were passed by the voters of Lumberton in November 2012, I was completely supportive of the people getting to decide. In the past they have decided to keep alcohol sales out because they like the safe quiet city bedroom community we have, but this time they decided to have alcohol sales and voted to pass alcohol sales in the city. That is their decision so that is what Lumberton will get. That being said, I would bet that very few people who voted for alcohol in Lumberton would approve of alcohol being sold right by the Lumberton High School. Local law prohibits alcohol sales within 300 feet, property line to property line, of a school. It doesn’t matter if the front door of the school is 800 feet to the front door of the place selling alcohol. All that matters is the 300 foot distance property line to property line. Why is property line to property line important? It is important because High School kids do not stay by the front door of the school. They walk to the edge of the property and cross roads when they get out of school, or if they decide to skip school, or after a game. They typically will also find the nearest place to congregate or hang out. When the Lumberton High School kids get out of school, the biggest most popular place for them to go is right across the street to the Walmart. This is where their friends work. This is where they wander around. This is the nearest hangout by the school. Now do you understand why the law is 300 feet no alcohol zone property line to property line from a school and not door to door? The TABC just busted over a dozen people selling alcohol to minors in right over in Jefferson County in 2012, including grocery stores. A couple of cities over, when Vidor passed alcohol sales a couple of years ago, within a year of alcohol sales starting, 3 different places were busted for selling alcohol to minors including a large grocery store. In the last 2 years Walmart has had nearly 2 dozen busts for selling alcohol to a minor in Texas. They act like that is a low number, but isn’t one minor getting alcohol and getting in a wreck too many? Alcohol is the LEADING killer of all youth and young people. Also, these number of busts for selling alcohol to a minor are just the ones who have been CAUGHT. Alcohol sales at Walmart right across from the Lumberton High School will be very detrimental. It is not a matter of if, it is a matter of when. Kids will go across the street during a game or after school and get their cashier friend to sell them alcohol. The alcohol section will not be for adults only and Kids will inevitably sneak a beer into their jacket and then get out of the massive store at one of the many exits. Why do we have local laws that do not allow alcohol sales within 300 feet property line to property line of a school if the local law is NOT enforced. What good does that law do? Also, if this variance is allowed, who gets a variance next? You cannot give Walmart a variance and not let the next guy come and build close the the high school and not grant him a variance. Walmart is not hurting for cash. This Walmart was built and has thrived without alcohol sales and it will do no harm to Walmart to keep it from selling alcohol. On the other hand, the harm that allowing Walmart to sale alcohol close to the High School could have deadly effects. Furthermore, the city does not need Walmart to sell alcohol to help city revenues because many other places in Lumberton already sale alcohol, so if someone does not get alcohol from the Lumberton Walmart then they will still buy in Lumberton at one of the other places that sell alcohol not close to the school. The city does not lose money. 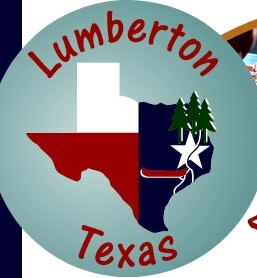 I am very disappointed that The Lumberton City Council is even considering allowing alcohol sales so close to the Lumberton High School and I hope the do the right thing choose to protect our schools over a little possible financial gain.